Many students or other people I have met have said to me that they do not understand music. But the truth is: if you are able to communicate and relate to other human beings, then you will have the ability to "understand" music. During a day, each and everyone of us interprets behaviour and signals from the people we meet, but usually it's not something we study or try to improve upon with the help of analytical questions. This is probably why there are so many thoughtless opinions around – which in many cases really are emotionally-based character evaluations – and so few pieces of knowledge based on an actual grasp of critically-based knowledge. Most information available in our society today actually makes things even more difficult, since TV and newspapers, in many ways, have a very limited definition of information and knowledge (more or less based on superficial occurrences rather than trying to identify patterns). It's a singularly limited world view that does not help sharpen the analytical ability of the consumer. It's not an easy to ask to expand your knowledge and deepen your self-awareness in today's society. But let's start right now! Focus on the music, give yourself attention-awakening questions and ask yourself what is the character of the music at hand? Then try to pinpoint this question by asking yourself whether this specific character is changing in the music over time. Two of the most common elements in classical music are the sudden change of character and the subtle change of character; more such changes take place in large-scale compositions. These usually have a sort of "master plan" which stretches over a longer time span. Another common trait in classical music is the simultaneous combination of two or more such characteristics at the same time. Focus again on the music and try to identify the character. If it's violence, try to identify this particular feeling. Is there a discernable method to the violence, in other words is it strong, weak, forceful, or tinged with humour, seriousness or maybe it's of a subdued nature? In other words, is it possible to detect some kind of deliberation behind it – some kind of direction or intention – or is it a less developed form of character, just plain violence? This is a technique you can apply to any aspect of music; a way of enhancing your appreciation of the many layers inherent in a composition. You can do this with any character that the music will transmit or that you will discover in your listening adventures. I often hear people say – even quite famous musicians – that the notes themselves don’t matter; it's the feeling that counts. I always wonder if these people would also say: "nice looking car – it has a small motorcycle engine and bad handling, but it feels right to me"? Of course not, which applied again to music means that all aspects are important in a musical performance. To utter such a silly thing goes to show that you’re only in the beginning of understanding music – no matter how famous or "important" – where feeling dominates over other aspects of music. To be a true listener or musician, you have to develop all aspects of music appreciation. The notes themselves are, of course, a very important part of this. And as I said before, it’s sensibility to the different degrees in music that is important and not feeling as such. It is the sensibility to say something profound that counts. Even though all aspects are important in music making, one can be singeled out as carrying more weight and that is rhythm. You might lose some notes on the way and still give quite a good performance. But if you fail to convey the rhythmic aspect of a work, the music, over a long time span, will have a tendency to fall apart. The correlation with language is again clear: it's possible to understand someone speaking and still get the context of what is said even if a word is lost here and there, but to listen to someone stuttering for a few minutes and still understand what was said is much more difficult. Focus on the music, give yourself the time to ask attention-awakening questions and ask yourself if you can discover the rhythm played. 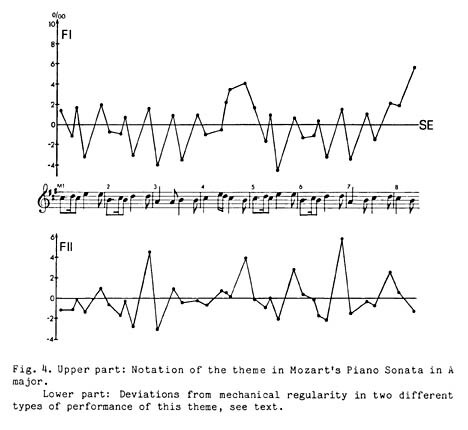 Has the musical performance a clear pulse or is it inflexible? In classical music there is often a basic pulse which will change with the character of the music and over time. Popular music has a so called "backbeat", a rhythm that is working "against" the pulse of the music which in its turn is usually based on a click-track in the studio. With these "syncopations" between the beats of the pulse, popular music achieves its typical swing. If you understand this basic difference between classical and popular music, you will understand a lot more about the music at hand. Do not expect a backbeat when it's not present in the music style. Look at this example. The notated rhythm doesn't coincide at all with the actual playing. Some notes are faster and some are slower than the exact notation. And most importantly, it's not a coincidence the way this is done. There are an abundance of matters to cover in order to explain why the notes should be shorter or longer etc., but this is not the best forum to address this very complex matter. It is sufficient to say that anyone interested in this fascinating topic will find much excellent literature. A starting-point might be the books mentioned a little further down on this side. It is important to establish the fundamental difference between a musical performance and notated music. This is also the real reason why midi-files sound stiff and unmusical. With Midi-music that is derived only from the notated score you won’t get any of these subtle yet so vital changes in rhythm. Do take note of the fact that there is no such thing as a random pattern in a good musician’s playing [example 1 on the picture above]. Incidentally, the second example shows all the signs of a pianist who doesn't handle the rhythmic aspect of the music as well as the first. After you have focused on this matter for a prolonged period of time, you will be more adept at distinguishing better playing – in matters of rhythm and pulse – from a performance which doesn’t handle these aspects as well. The discovery of smaller and smaller details which you previously had not been aware of is actually the key to sharpening your listening experience, your attention, and finally your knowledge and enjoyment of the music at hand. The text under the picture explains two additional rules in music. First of all, the higher pitch of the tone, the stronger the phrasing will be. 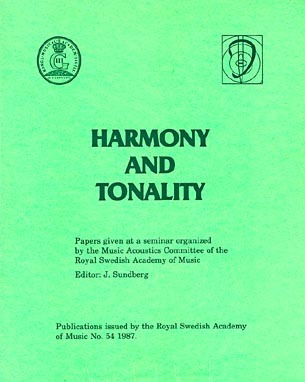 Secondly, the harmony of the music also underlines the central point of the phrase, the dynamic high point of the phrase. It’s important to realize that this happens only once in every phrase! If you choose to invert this rule – making the strongest point weak instead – you will achieve what is typically known as romantic phrasing, common in many different forms of music. Focus on the music, ask yourself attention-awakening questions, and ask yourself if you can discover the exact way the notes are combined in the performance at hand. Some notes are emphasized, some are tied together with others, some form a small and short scale that has a distinct direction, some are struck for a longer or shorter period of time than the actual printed score indicates, that is to say staccato or legato and differing degrees in between. This is the articulation which is part of the phrasing. Many artists choose a very personal way of articulation, a distinct and individual emphasis that will put a personal stamp on their music making. There are endless discoveries to be made in this vast field of possibilities. Next, try to challenge yourself with an attempt to perceive every single note, even in very fast moving music. 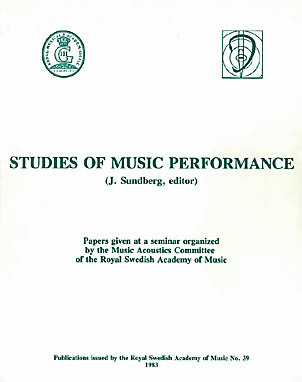 If you are able to clearly distinguish details in instrumentalists' playing – and not just that of the singer or soloist – you can finally perceive the complex pattern creating a large structure expanding over time; a musical form that consists of some of the aspects mentioned on these pages. It’s a never-ending discovery of even greater details and larger contexts enough for more than a lifetime. In the end you will be left with the feeling that there is still so much to learn. Music consists, as stated at the beginning of this text, of contrasts. In this particular case, of contrasts in harmony, tension and relaxation. If you hit any key on the piano, it will have a tendency to drop a fifth within a very short period of time. On this last note, you will experience the tension created when the first note struck is released. You can then create a simple basic chord on the first tone and a chord on the second tone. You will then have two chords which will establish a harmonic tension between themselves. This is a natural acoustic phenomenon based on the nature of the harmonic series. The chords are named dominant and tonic where the dominant chord dominates over the other. In order to achieve a "natural musical diction" the dominant chord should be accentuated. There is also a chord one fifth down from the tonic named the sub-dominant. It has a slightly less dominant position as its name suggests. The relative levels of the tensions inherent in common chords are prioritized. Research performed by scientists at the University of Stockholm investigates the intriguing question "what makes music musical?" Above I mentioned the three most common chords which are the foundation of most written music. Adding notes to them increases the tension, but the foundation built on these chords remains. The exchange of the subdominant for its parallel forms the most common II-V-I phrasing in jazz music, based on these three chords. Again: If you say that there are no rules, you will have a very difficult time explaining this phenomena. If you want to avoid this natural tension and release pattern between the chords, you need to work out a very sophisticated system. And still it’s no news. Twelve tone music involves creating chord (or tone) progressions in such a way as to avoid the normal three-chord system. But in order to avoid these connections, you must obtain a thorough knowledge of harmony; opinions and feelings don’t come in to it! Bach‘s first prelude in the Well tempered Clavier – more on that work on the Bach pages – is an excellent study piece for the understanding of the value of chords. This particular prelude has no melody and consists only of a progression of broken chords. The tension of the music is achieved only by the relationships between the chords. If you would play this piece without studying these relationships carefully, it probably will result in a performance working against the nature of the music! All musicians should – in order to fully understand the nature of the piece and know where the tension and release points of the music are located – analyse chord progressions of the music they play or sing. There is, of course, the common short-cut among romantic-influenced singers: to make any musical stress soft and non-obtrusive as possible, (overdone almost to boredom).  On the other hand, if you are aware of the possibilities that chord tension offers, you will have a wider range of options to work with to produce an intelligent, varied and interesting performance based on solid music facts. Advanced music has polyphonic tendencies. That is to say, it consists of more than one melody/part played at the same time. To give a rough picture: most classical music is based on melody, counter melody, chord structure and a moving bass line, and usually all is also connected with the same basic material. If you are able to experience all of this, you will have a better understanding of how a composition differs from a tune. A tune mostly consists of a single melody that does not change over time coupled with an accompaniment that is only supportive and that seldom has any kind of thematic relationship to the tune itself. For a more expansive but at the same time eminently instructive text on the nature of a composition, I wholeheartedly recommend reading a chapter in Leonard Bernstein's book, "The Infinite Variety in Music". Especially the easy-to-read chapter about Brahms' Fourth Symphony, first movement, will give you an excellent introduction to this interesting subject. It’s a mystery why there are so few sources to consult regarding this important subject. Few books examine this matter properly and other media almost never touch upon it. Without proper knowledge of what a composition is, classical music will be very difficult to understand.